Unions rallied on Tuesday to fight the Trump administration's decision to end TPS for Haitians and to seek a path to citizenship for those affected by it. Wilna Destin, a UNITE HERE organizer, fled political unrest in Haiti 17 years ago for asylum in the United States. After arriving on her own in Miami, Florida, she worked restaurant and hospitality jobs in Orlando, eventually gaining accreditation as a nursing assistant. She married and had two children. She built a life. When the Trump administration announced on Monday night that it would end temporary protected status, or TPS, for approximately 59,000 Haitians in 2019, Destin learned that she will have to leave in a matter of months. Labor advocates across the country aren’t ready to see her and her fellow Hatians go either. In the latest surge of labor opposition to the Trump administration’s immigration agenda, union leaders and rank-and-file members rallied on short notice Tuesday, vowing to fight the TPS decision and seek a path to citizenship for the Haitians affected by it. 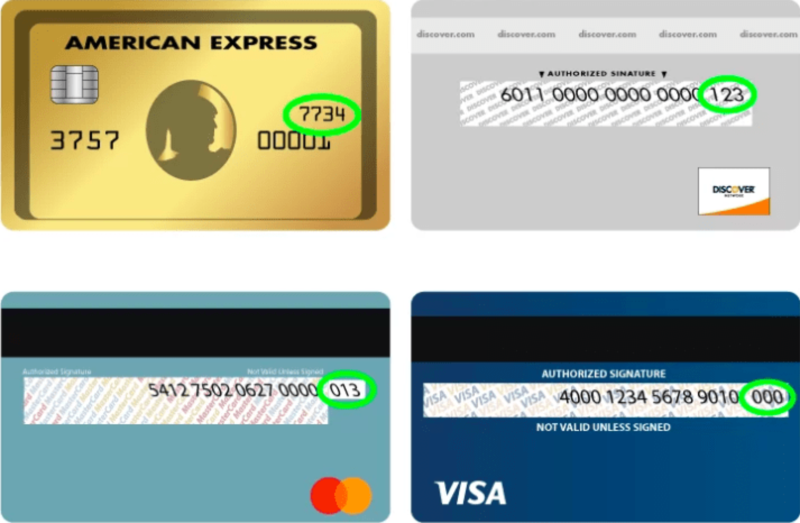 TPS is an immigration status granted to foreign-born residents unable to return home due to dangerous or challenging circumstances in their native countries. In 2010, the Obama administration granted TPS to Haitian-born residents after a devastating earthquake struck Haiti that year. “This is a very, very terrible moment for us in the labor movement,” said Gerard Cadet, vice president of Service Employees International Union 1199, at a press conference in lower Manhattan on Tuesday morning. According to Cadet, who was born in Haiti, over 12 percent of SEIU 1199 members are Haitian immigrants. Cadet spoke alongside immigrant rights leaders and SEIU 32BJ President Hector Figueroa, who echoed the sentiment. Later on Tuesday, approximately 400 demonstrators marched to Mar-a-Lago, Trump’s resort in Palm Beach, Florida. They included members of UNITE HERE, SEIU and the American Federation of State, County and Municipal Employees, along with advocates from faith and immigration groups, said Wendi Walsh, the secretary-treasurer at UNITE HERE local 355 in Miami. According to Walsh, South Florida has the largest population of Haitians outside of Haiti, many of whom have stayed in the country under TPS. South Florida businesses and trade organizations — such as the Walt Disney Company, Four Seasons Hotel Miami, the Beaches and Greater Miami Hotel Association, and the Florida Restaurant and Lodging Association — oppose an end to TPS designation for Haitians. In total, over 300,000 people from 10 different countries live in America with the designation, according to the immigrant advocacy group National Immigration Forum. A study conducted in April by the Immigrant Legal Resource Center found that if companies laid off all of the TPS holders from El Salvador, Honduras and Haiti, it would result in $967 million in turnover costs. 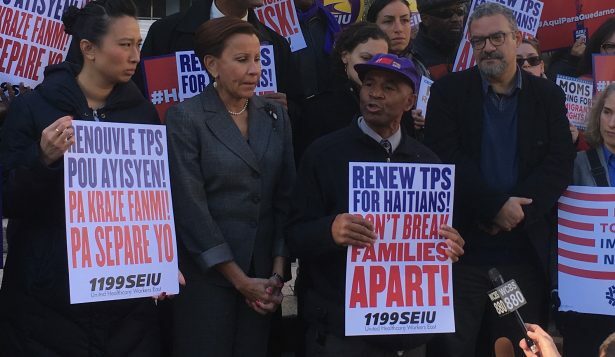 At the press conference in Manhattan, Rep. Nydia Velazquez touted the American Promise Act, a bill she introduced on Nov. 3 that offers a path to citizenship for people who have been in the United States under TPS for at least three years. When introduced, the bill had 17 co-sponsors. “It seems that the American promise — the promise of a nation that cares for the vulnerable and benefits from diversity and inclusiveness — is too strong for Donald Trump,” Velazquez said. Cadet said he “absolutely” supports the bill, but that SEIU 1199 has not vetted the legislation sufficiently to give its endorsement as a union. According to Figueroa, SEIU 32BJ backs the bill. On Tuesday night, Trump arrived at Mar-a-Lago to spend Thanksgiving with his family. Hours earlier, Destin and other TPS holders had protested outside the resort to ensure that they could spend future Thanksgivings in the United States with their families. Thank you Labor; God bless your efforts to defend the rights of HaitiansDavid to stay in the US.